There has been a lot of speculation on why we are losing retailers so fast. An interesting research piece from the US presented an alternative hypothesis that generalises the issue down to rostering for profit rather than rostering to control costs. For context – If you were given the choice of increasing revenue by 5% or reducing costs by 5% in order to create the most profitable outcome, what would choose? A “back of the hand” calculation would show that reducing costs increases profit more than the equivalent uptick in revenue. Accordingly, most retailers choose option two. This makes sense if you assume the two scenarios are independent of each other, but what if the cost was your employees? This is where the problems arise. For industries like retail, where staff have a direct impact on sales, it’s not as simple of a question as cutting costs to increase profit. In a study led by Professor Marshall Fisher from Wharton, he and his research team constructed a conceptual model from historical data to identify stores within a US-based retail chain that had the highest potential to benefit from increased labour spend. Importantly, the strategy was actually implemented at 168 retail sites over a 26-week period to validate the model, with the retailer electing to implement the strategy further. The result: A near $8.9 million increase in profit of the stores included. The labour cost challenge The challenge in allocating labour budgets lies in the tradeoff between the known immediate payroll cost and the less certain increase in sales that could be achieved with more staff on hand. The researchers point out that retail managers have a tendency to overweigh the decision to reduce the known payroll cost than the less certain increase in sales which could be achieved by allocating additional labour spend. The labour budget death spiral The study highlights the limitation of the most common retail strategy — setting labour budgets as a portion of sales. Fisher points out that this approach creates a circular problem by failing to take into account how store labour spend can positively impact sales, with the worst case leading to a spiraling effect of reduced sales forecasts reducing labour spend which reduces sales further and so on. Quantifying the impact of labour spend on revenue Creating labour budgets that are designed to maximise profit requires retailers to know on a store-by-store basis the correlation between labour-spend and sales. One way to do this is by looking at times when staffing levels deviate from the original schedule. If ten staff were scheduled on a particular day, but on that day only eight turned up, did sales also decrease by the same portion? If not, by how much? If the answer to the above is that sales didn’t decrease at all, the store is likely overstaffed. If there is a measurable impact, the inverse scenario is likely true and the store may be losing sales by being understaffed. This is the same approach used in the study, which found the relationship between random staffing deviations and impacts on sales was statistically significant. Results showed an increase in labour spend pointed to increased sales at varying degrees, depending on known store attributes. Implementing the strategy for profit The study identified stores in a US retail chain which had the highest market potential, making them good candidates for an increased labour spend. The market potential factored in attributes like average basket value and proximity to competitors, which would create scenarios that allow workers to have the highest impact on converting sales. In the study, 168 stores were selected this way, then allocated a 10% increased labour budget over a 26-week period, of which 75% of the increase was actually consumed in practice by the stores. The outcome was a 4.5% increase in revenue at the impacted stores and resulting in a near $8.9 million profit increase. Learning from the strategy The study shows empirically why the common practice of setting labour budgets as a fixed proportion of forecasted revenue is often self-defeating when applied in a retail setting. An opportunity exists to all retailers to leverage this same profit-centric model for defining labour budgets. The data required is available to all retailers however, it may just be a matter of leveraging that information with the right systems. An integrated forecasting strategy that integrates foot traffic, sales, and employee scheduling data is a practical opportunity afforded to retailers of any size to optimise their labour resource allocations. The interesting part is, Fisher’s research is readily available to all retailers who are looking to drift away from the traditional method of fixing labor budget rosters. The next step is to get this method of labour resource allocation battle tested in the Australian markets. Stay tuned. Up next: What is the Contingent Workforce and how can you leverage it in your business? There has been a lot of speculation on why we are losing retailers so fast. An interesting research piece from the US presented an alternative hypothesis that generalises the issue down to rostering for profit rather than rostering to control costs. For context – If you were given the choice of increasing revenue by 5% or reducing costs by 5% in order to create the most profitable outcome, what would choose? A “back of the hand” calculation would show that reducing costs increases profit more than the equivalent uptick in revenue. Accordingly, most retailers choose option two. This makes sense if you assume the two scenarios are independent of each other, but what if the cost was your employees? This is where the problems arise. For industries like retail, where staff have a direct impact on sales, it’s not as simple of a question as cutting costs to increase profit. In a study led by Professor Marshall Fisher from Wharton, he and his research team constructed a conceptual model from historical data to identify stores within a US-based retail chain that had the highest potential to benefit from increased labour spend. Importantly, the strategy was actually implemented at 168 retail sites over a 26-week period to validate the model, with the retailer electing to implement the strategy further. The result: A near $8.9 million increase in profit of the stores included. The challenge in allocating labour budgets lies in the tradeoff between the known immediate payroll cost and the less certain increase in sales that could be achieved with more staff on hand. The researchers point out that retail managers have a tendency to overweigh the decision to reduce the known payroll cost than the less certain increase in sales which could be achieved by allocating additional labour spend. The study highlights the limitation of the most common retail strategy — setting labour budgets as a portion of sales. Fisher points out that this approach creates a circular problem by failing to take into account how store labour spend can positively impact sales, with the worst case leading to a spiraling effect of reduced sales forecasts reducing labour spend which reduces sales further and so on. Creating labour budgets that are designed to maximise profit requires retailers to know on a store-by-store basis the correlation between labour-spend and sales. One way to do this is by looking at times when staffing levels deviate from the original schedule. If ten staff were scheduled on a particular day, but on that day only eight turned up, did sales also decrease by the same portion? If not, by how much? If the answer to the above is that sales didn’t decrease at all, the store is likely overstaffed. If there is a measurable impact, the inverse scenario is likely true and the store may be losing sales by being understaffed. This is the same approach used in the study, which found the relationship between random staffing deviations and impacts on sales was statistically significant. Results showed an increase in labour spend pointed to increased sales at varying degrees, depending on known store attributes. 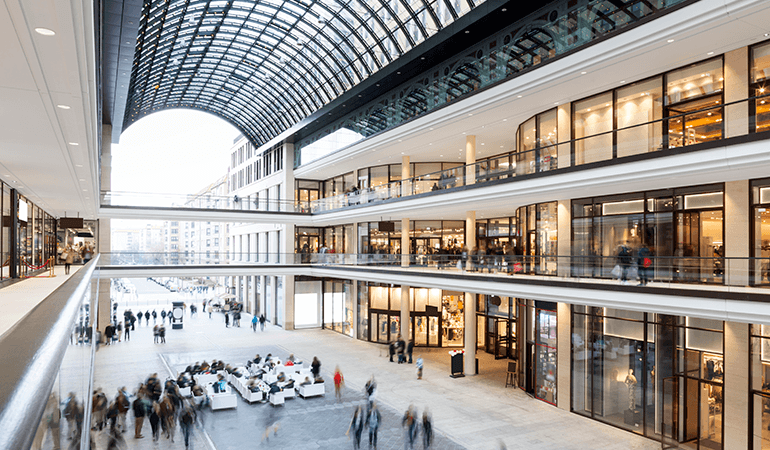 The study identified stores in a US retail chain which had the highest market potential, making them good candidates for an increased labour spend. The market potential factored in attributes like average basket value and proximity to competitors, which would create scenarios that allow workers to have the highest impact on converting sales. In the study, 168 stores were selected this way, then allocated a 10% increased labour budget over a 26-week period, of which 75% of the increase was actually consumed in practice by the stores. The outcome was a 4.5% increase in revenue at the impacted stores and resulting in a near $8.9 million profit increase. The study shows empirically why the common practice of setting labour budgets as a fixed proportion of forecasted revenue is often self-defeating when applied in a retail setting. An opportunity exists to all retailers to leverage this same profit-centric model for defining labour budgets. The data required is available to all retailers however, it may just be a matter of leveraging that information with the right systems. An integrated forecasting strategy that integrates foot traffic, sales, and employee scheduling data is a practical opportunity afforded to retailers of any size to optimise their labour resource allocations. The interesting part is, Fisher’s research is readily available to all retailers who are looking to drift away from the traditional method of fixing labor budget rosters. The next step is to get this method of labour resource allocation battle tested in the Australian markets. Up next: What is the Contingent Workforce and how can you leverage it in your business? How much do full time staff really cost? Being in the business of managing staff costs, we often hear people say that casual staff just cost so much more than their full time equivalents. I mean, that extra 25% is a killer, right? Especially for staff who work a fairly consistent schedule each week, it’s almost like free money. For a while there I went along with that, not really giving it much thought. But today the thought struck me – casuals miss out on plenty of benefits afforded to full and part timers, so are they really better off? I decided to investigate further. What follows may surprise you. First – how many days in a year does a full time employee work? Weeks in a Year: 52 Working Days in a Year: 260 So far so good. We’re going to ignore the 1 or 2 days that we’re off by, for the sake of a nice round number. Next, let’s look at this full time employee’s entitlements, in days. Annual Leave: 20 (4 weeks) Personal Leave: 10 (2 weeks) Public Holidays: 10 We’ll assume a 7.6 hour work day and 17.5% leave loading. So how many hours of leave are we paying? Annual Leave – Base: 152 Annual Leave – Loading: 26.6 Personal Leave: 76 Public Holidays: 76 Total Hours of Leave Paid: 330.6 Earlier we calculated how many days of work one can work in a year, now let’s subtract leave taken to get a more accurate figure. Days of Leave Taken: 40 Actual Days Worked in a Year: 220 Actual Hours Worked in a Year: 1672 Divide 330.6 (hours of leave paid) by 1672 (hours worked) and we get 19.77%. Remember, we are comparing this to the 25% loading paid for casual staff. So from this perspective, yes, your full time and part time staff are still cheaper – but only by 5.23%. And even that number is probably on the low side. We ignored long service leave and maternity leave because they are a bit more unreliable. Both they are also costs (or accruals) that can definitely add up! When you take into account the fact that you only have to pay casuals when you need them, it’s easy to see why more and more Australian employers are turning to casual staff. According to the ABS, this has been growing steadily since the 90’s, and today over 1 in 5 jobs in Australia are casual. This one is looking at all you Food Produce and Hospitality business owners out there in the Tandaverse. It has been announced that the Senate will launch an inquiry into the Australian Wine Industry. Tanda users in wine country, also known as South Australia, may have already heard South Australian Senator Anne Ruston moved for the inquiry to see if there’s a market failure. This means having a look at that transition from vineyard to restaurant. In true politician style, Senator Anne Ruston says things are going well for the wine industry in Australia, but there may be opportunities we have missed and certain factors going against us. This is all very vague and contradicting. Managers and business owners out there know hearsay is useless for your growth. Facts and numbers are the things most important to you. So what does all this actually mean for you? Well, what is unusual in politics is that it seems all sides of government are for the inquiry. Senate has reported that though the broad-ranging report is still in the process of conception, it would take a look at the power and influence of retailers and wholesalers of Australian wine in domestic and international markets. Not only will it uncover information beneficial to retailers, it’ll examine existing policies like the Wine Equalisation Tax. Though it’s quite apt that the policy is named WET, refrain from wetting your lips to celebrate just yet. Things could be in the process of changing for better or worse. But this is only part of a bigger picture. Free Market Trade agreements are on the table now making it an exciting time for Australian business owners. Tanda, and we’re sure you guys too, are very keen to see how this inquiry unfolds in the near future and beyond. Text Me Maybe: Share Your Rosters by SMS! Tanda’s (PayAus) roster management tools just got even more powerful, with the ability to send your staff their rosters by SMS, instantly. No more printing rosters out and making sure they don’t get lost, or trampled on, or wet. No more casuals calling up during the busiest time of the day to ask when their next shift is. And no more typing text messages up yourself – Tanda can do it all for you. Once you’ve designed a roster in Tanda, just follow the prompts to SMS it to your staff. You’ll be able to select which staff members get their rosters delivered, and even see a preview of the message they’ll get. Rosters by SMS cost 25 cents per message, but as a gift to Tanda customers, we’re making the first month absolutely free. Have fun! P.S. rosters are sent to the phone number you’ve provided for your staff, so you’ll need to make sure that’s correct. If you are having issues entering phone numbers, or need help importing a lot of phone numbers, please contact us! Liam Hukins leads the Retail Solutions team at Tanda, the World’s #1 Platform for Workforce Success. Tanda integrates existing retail data from Point of Sale, foot traffic monitoring systems, and other demand sources to create profit centric schedules.